We have various support and resistance MT4 Indicators to download in our A-Z; two of which are Fractals and ‘Pipholic’. Whilst they have different names and look slightly different on a chart they are infact the same indicator. 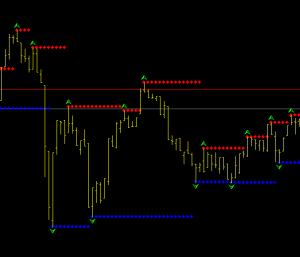 Fractals is one of Bill Williams’ many trading system indicators. Fractal metatrader indicator requires a series of at least five successive bars, with the highest high in the middle, and two lower highs on both sides. The reversing set is a series of at “least five successive bars, with the lowest low in the middle, and two higher lows on both sides”, which correlate to the sell fractal. The fractals are usually marked with the up and down arrows and are shown by the green arrows in the chart below. Similarly Pipholic, marks the same turns but instead of arrows it draws a line until the line is broken. This is marked by the red and blue diamonds on the chart below. These indicators look great on paper but suffer from the old problem of being better in hindsight. The reality is you have to wait for the bar after the high to confirm the high anyway before you can mark a high (or low). These indicators are more of a self-drawing tool in my opinion and just save you the time of marking previous highs or lows. On most charts you would be able to pick out the same highs and lows manually. I have not found any system that uses fractals and pipholic as their main indicator and I don’t expect to. However, that being said one could do a lot worse than place a stop at the previous high or low depending on your trade direction and I guess these mt4 indicators can got a long way to helping you visually at least. Support and Resistance Indicators are quite common although most of them show the same turning points when placed on a chart. This is the nature of S/R. Finding support and resistance is quite easy and more often than not is very obvious but the issue comes in that there are many different levels within various time frames and the all overlap each other. Knowing which ones to pay attention to and which to ignore is tha hard part. And an art which I have not personally mastered. Have you? 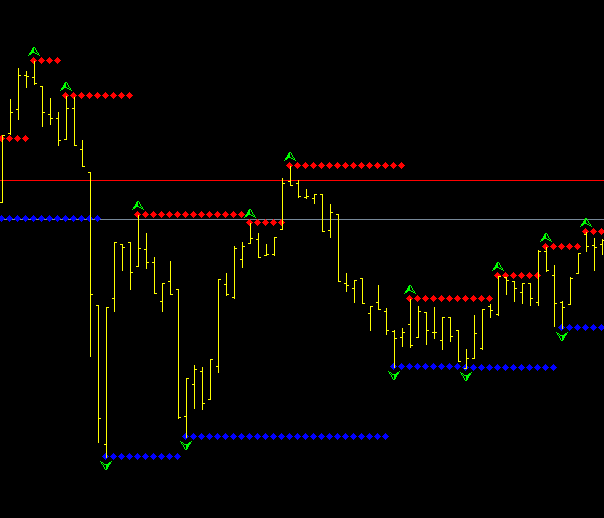 Fractal is a standard indicator that comes with MT4/MT5 however we have various different verisons on site. Check out the MT4 Indicator List. I like your writing style genuinely enjoying this website. “The first principle is that you must not fool yourself – and you are the easiest person to fool.” by Richard Feynman.